We are pleased to announce the 2019 Passport to Adventure Trips and Tours. 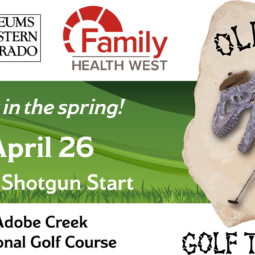 The MWC has arranged 25 different adventures for our friends and members that will explore dinosaurs, birds, gems, rock art, ancient ruins, living Native American events, railroad history, agricultural heritage, famous Southwest cultural events, and more. Day journeys in Colorado include A Toast to the Rockies Historic Pub Crawl in Telluride tour as well as visit to the high altitude Ghost Town of Independence above Aspen. Three Southwest cultural events that the MWC will experience include the 20th Annual High Plains Chautauqua in Greeley, the Cimarron Cowboy Music and Poetry Gathering, and the famed Santa Fe Indian Market, which will also enjoy an evening at the Santa Fe Opera. Two exciting adventures that will explore the living heritage of the West’s Native Americans includes traveling down to Hopi and Navajo Reservations with former Partners Executive Director Joe Higgins. This journey will witness some very seldom seen rock art and a Hopi Fall equinox ceremony. Meanwhile, anthropologist Sally Crum is leading a trip that will experience the Southern Ute Bear Dance. Curator of Paleontology Dr. Julia McHugh has laid out some special geological and paleontological adventures including a visit to Goblin Valley and a jeep tour in Canyonlands. She has also prepared a special five-day journey exploring the gems, fossils, and volcanos of Idaho. History Curator David Bailey is leading two jeep tours into the San Juan mountains—one to the historic Red Mountain Mining District and the other over the thrilling Corkscrew Pass. David has also arranged a return to jet-boat adventures on the Colorado River in Moab. For railroad enthusiasts, Cross Orchards Curator and railroad historian Matt Darling is leading a tour of the former Uintah Railroad route over Baxter Pass. He is also taking a group on a unique three-day Victorian Era traveling experience on the Durango & Silverton Railroad. For rock art aficionados, Dr. John Seebach of Colorado Mesa University is leading a tour of Nine-Mile Canyon, arguably the “world’s longest art gallery.” In conjunction with Colorado Canyons Association (CCA), he is also leading a Gunnison River float tour to the Eagle Rock Shelter site, Colorado’s oldest archeological site at nearly 13,000 years. In addition to the Eagle Rock Shelter tour, the MWC is doing several tours and trips in conjunction with CCA. These include a hike into Dominguez Canyon, a beginners fly-fishing experience on the Gunnison River, and a birding float trip down the Colorado River. 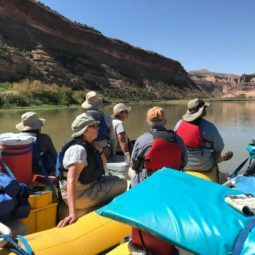 Dr. McHugh is also leading a Paleo Float Trip with CCA into the Ruby-Horsethief Canyon that includes luxury camping experience (an opportunity that is also part of the Colorado River birding trip). 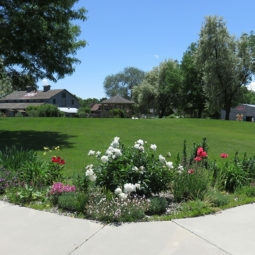 The MWC is also proud to be partnering with the Colorado West Land Trust on three unique opportunities to visit area farms and ranches that are being conserved. 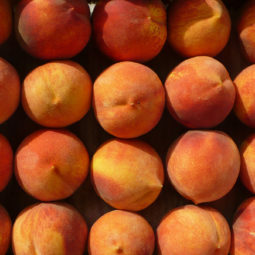 These include a spring time journey to farms in the North Fork Valley, a historic ranch upriver of Paonia, and to farms in Plataea Valley during the fall. And for the MWC’s annual Holiday Season trip, we are going to Georgetown’s 59th Annual Christmas Market. The Victorian-Era mining town is transformed into a Christmas scene reminiscent of holidays long ago and is recognized by many as the best Christmas experience in Colorado. Check these trips and tours out here. They will be available for online registration early January. Sign-up soon so you don’t miss out on the adventure of a life time.